If you look at right hand top corner of the plan you will notice there is a small curved rail-bridge just behind the trestle and in front of the lighthouse, leading to the entrance of the small tunnel. 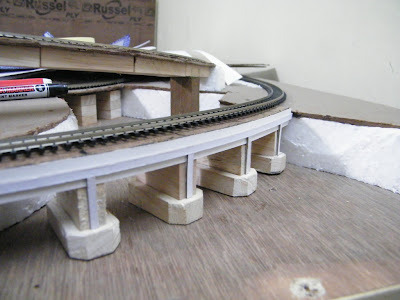 I was pretty board cutting cardboard and styrene sheets for last few days to make the concrete surface of the port, and decided to build the bridge for a change. 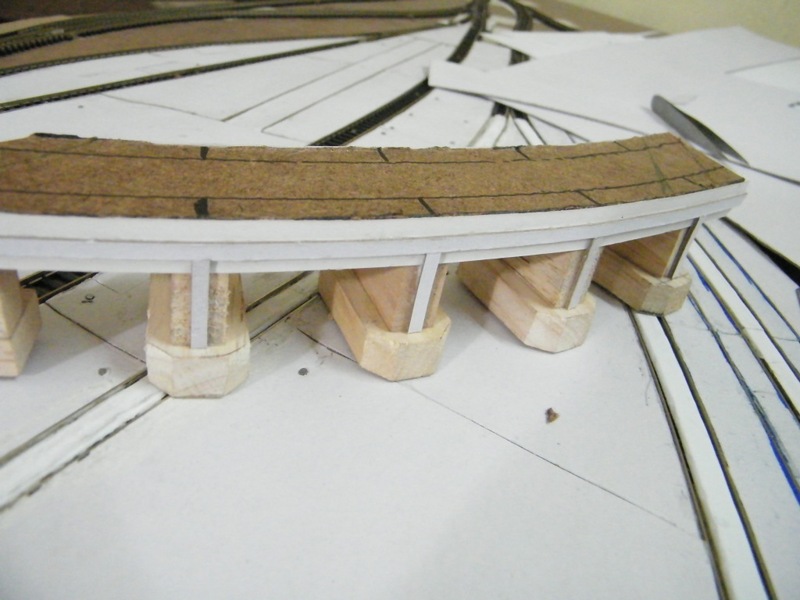 I didn't really want the bridge to be anything fancy, as you don't really see a fancy bridge in locations like that. 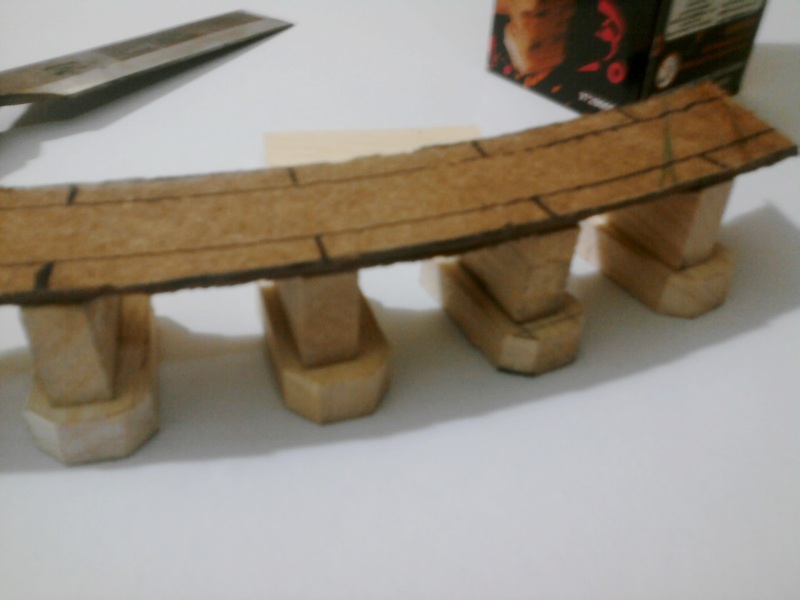 I decided to go for an unimpressive concrete bridge. For robustness and stability I decided to go for wood and chose my long time favorite Jenga blocks. 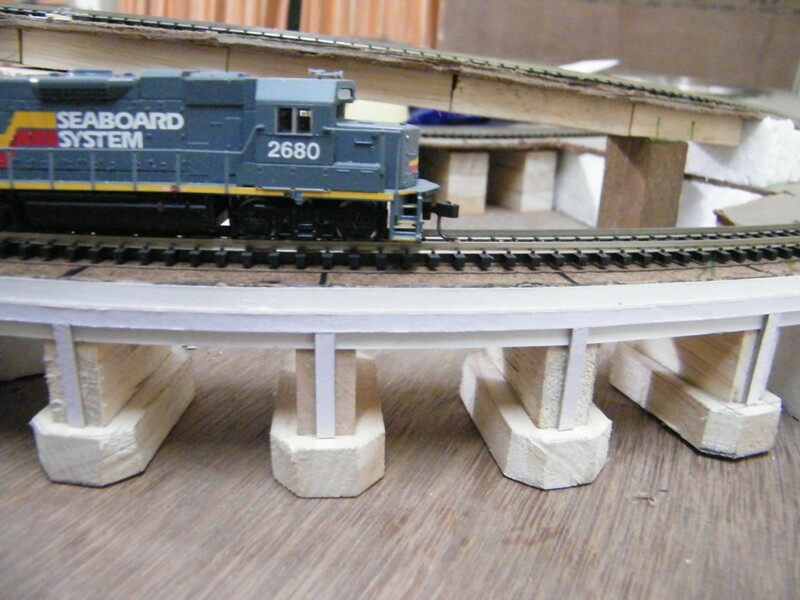 They are nicely machine cut with uniform shape and was perfect for the piers. 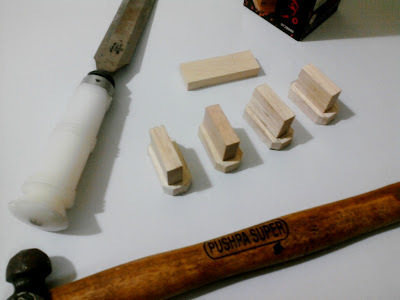 First I had cut the two major components of the piers from these wooden blocks - two sections, the wider base and relatively thinner piers. Next the span of the bridge was made from a single Masonite sheet. 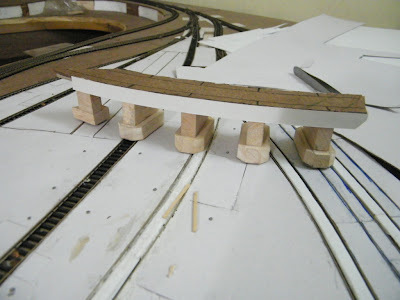 There is a 3mm cardboard support in the under side of the Masonite board for rigidity and to gain the right height.